Slots and casino games are an important part of the gaming experience for many bingo players who see slots games as complementary to bingo games. Many bingo sites offer side games that include scratch cards and a whole variety of casino table games, slots and video slots. 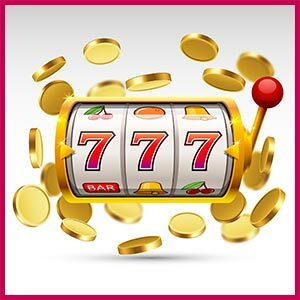 There are many sites out there that are dedicated to casino and slots games that do not offer bingo, and so give players a more specialised slots gaming experience. With so many around you can trust Bingopower to pick and recommend the best to play at. There is a natural crossover between bingo and casino games for bingo players with many rating the slots and side games in the bingo sites as an integral part of their enjoyment when playing bingo (many players actually enjoy playing side games while playing bingo games – talk about multi tasking!). In fact many of the established brands offer a wide range of gaming products, not just bingo and you can find casino, slots, poker and sportsbook which can be accessed with the same account. However there are many other brands which have a much more dedicated approach to gaming with a bigger focus on one type of game, such as casino games and/or slots. Seasoned bingo players will see that casino sites have many tempting deals, which may seem more generous than many standard bingo sites. However this is not free cash, as with bingo bonuses casino and slots sites do with give bonuses based on how much you deposit and with strings attached, that is with terms and conditions. Just as bingo bonuses are subject to wagering requirements so are casino and slots bonuses, however the basics remain the same. So if you see an offer whee you get a 300% deposit bonus, you will get £30 bonus money when you deposit £10 meaning you will have a total of £40 to play with. The bonus amount will be subject to terms and conditions though. The terms and conditions of the bonus money will vary from site to site but just in bingo you will not be able to withdraw bonus money (especially if it is a no deposit bonus) if you have not deposited and wagered the bonus money a certain number of times. Another twist comes in that many times not all games have the same wagering requirements or count the same towards the amount that casino sites state be wagered. As always we strongly recommend reading the small print so that you know what to expect. Another aspect from casino sites that differs from bingo sites is that the amounts played seem to be higher. A pound in a bingo site goes much further than in a casino site, but this is due to the nature of the games. With some casino games you literally have a 50/50 chance of winning (such as roulette in red/back bets and odd/even bets) making a win much easier than in some bingo games, whereas with others the odds are much smaller. Casino players tend to like the risk as well as the entertainment and for this reason they tend to risk higher amounts of money when playing. At this we recommend caution and to gamble sensibly. Never gamble what you cannot afford to lose and never EVER go chasing a win! With risk comes responsibility. The world of casino is quite different to the world of bingo. You still have many themed games and sites, huge progressive jackpots, live dealer games and Vegas style games. The choice is enormous and there is bound to be something for everyone.